Michael has been selling real estate since 2005 and has been the office manager and CFO of SEI Real Estate Professionals since 2015. 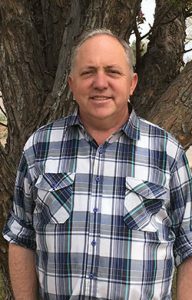 He has an extensive background in big box retail management and has been the manager of multiple JCPenney stores throughout Arizona. He was the lead sales agent for a large housing development in Snowflake and currently manages numerous residential renovation and new build projects within the company. He is also the company’s in-house property manager for multi-family and single family company owned properties. He is originally from the Gila Valley area and spent many years in Yuma before coming to the White Mountains. He has lived in Snowflake for 12 years now and is very involved in the community. He and his wife are parents to 9 children.